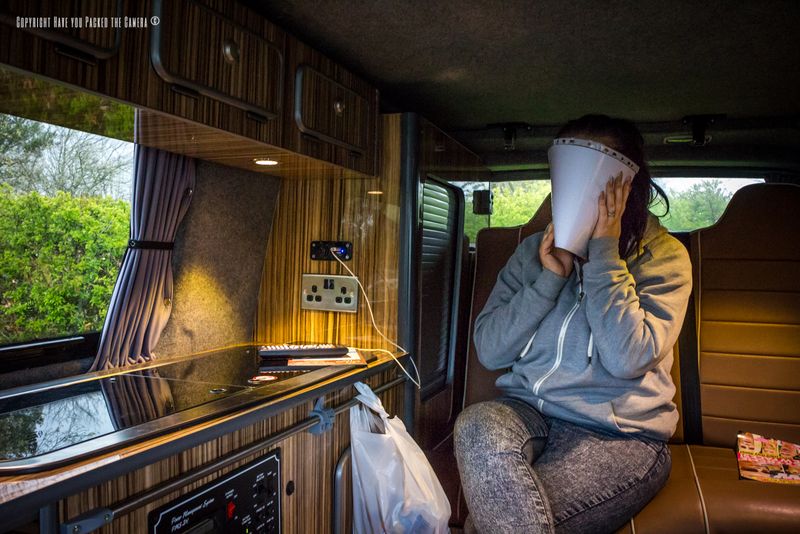 Clyde the Campervan – What is it like to use a converted VW Transporter? 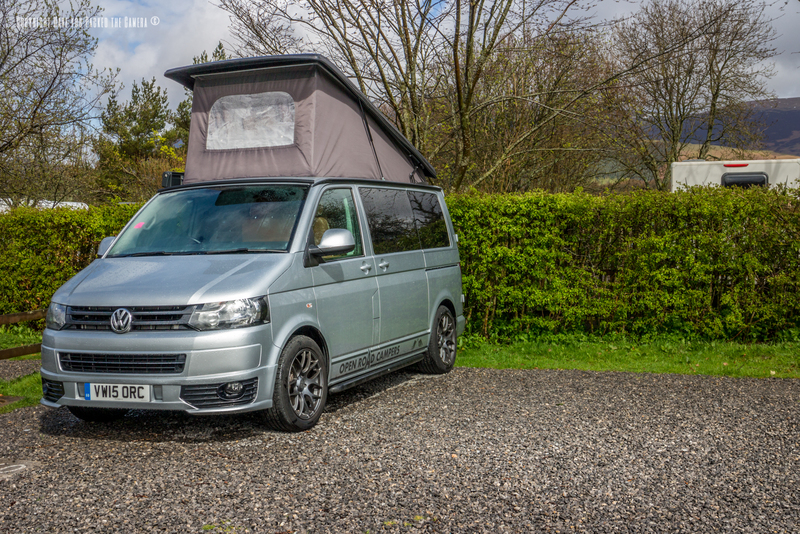 We used the website Camperbug to choose the campervan that would take us through Scotland and settled on "Clyde". This campervan was for hire through the amazing company Bus Stop VW based in Sheffield and I cannot recommend them enough! The price was reasonable and worked out around £85-90 per day, this included insurance for driving the van. Bus Stop VW were fabulous – The guys gave us a thorough breakdown of all the Campervan's facilities and also demonstrations of how to work things like the flip-up roof and electricity system. They made us feel at ease and also left me feeling confident that I wouldn't destroy the Van or do something I shouldn't . 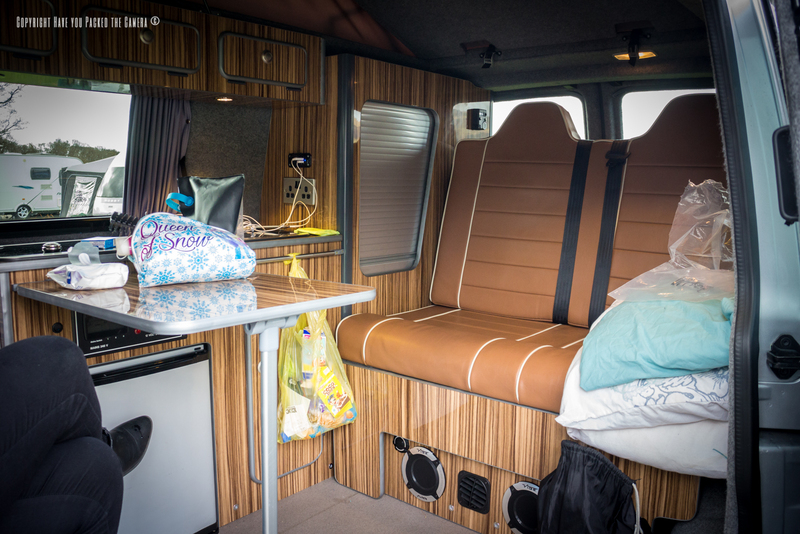 Below are my thoughts and tips on Clyde the Campervan, so if you are thinking of hiring one, hopefully this article will prove helpful! There is no rear view mirror! Make use of your side mirrors. The gear stick is in a higher position on the dashboard. Take corners gently otherwise items may be thrown around the Van! Make sure you have researched petrol station locations. Allow for the larger width and length of the van when manoeuvring. It was an extremely smooth drive, and had the added bonus of cruise control – This came in handy when travelling long distances on the motorways. There were a couple of times where I took a corner too sharply and a few objects flew off the sideboard in the back, but other than that, it was quite fun to drive. I don't like to brag, but I was pro at parking and reversed it like I'd been driving one for years! The interior was brilliant, it really was comfortable, spacious and well organised. There was a double swivel seat that could either face the same way as the driver's seat, or into the back of the van – We kept this turned facing into the van and used it to sit on for breakfast etc. There were two hobs which we used to cook breakfast on and also some soup, and also a sink with running water to wash the pots in (and clean our teeth sometimes!). The fridge wasn't huge but had plenty of space for milk, biscuits, butter and drinks, while the gas heater kept the van lovely and warm at night. The seats were comfortable, the lighting was really cool with touch sensors and basically the van had everything inside that we could have wished for. 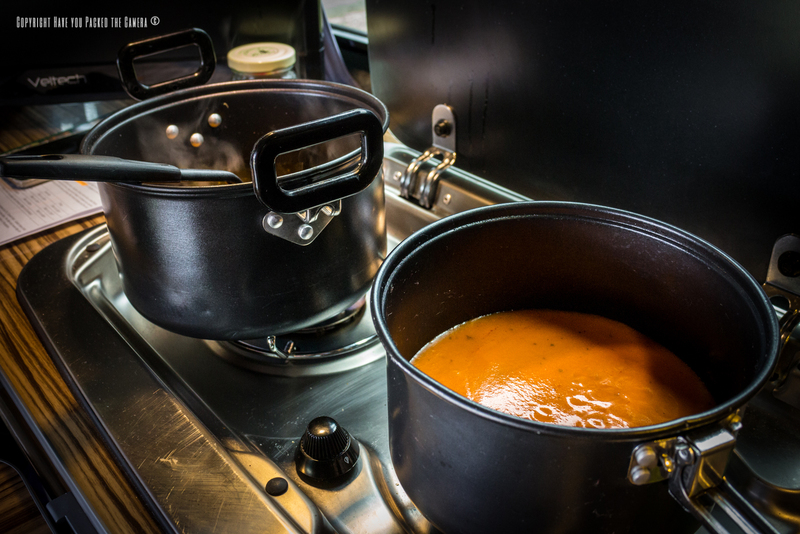 Bus Stop VW also provided a full self-catering package and we were supplied with two boxes full of pots, pans, glasses, cups, cutlery, utensils and other items – Basically a whole kitchen! We found this really useful and thought this was a really good extra that again proved invaluable. The roof compartment - The campervan had a hydraulic flip-up roof section with space for a full double mattress. We put this up whenever we stopped at a campsite as it created a large amount of extra height to stand up in. The mechanism was fairly simple and all you had to do was loosen 4 straps, and then unclip the latch and push the roof up – It then popped up of its own accord using the hydraulics. We tried sleeping in the roof section on our first night in Keswick, however as the sides are only canvas, it proved to be too noisy. There were gale force winds and it rained too, so the sides of the roof were blowing quite fiercely – It proved too much and we moved down to the fold out bed downstairs (Stairs?? Well you know what I mean). 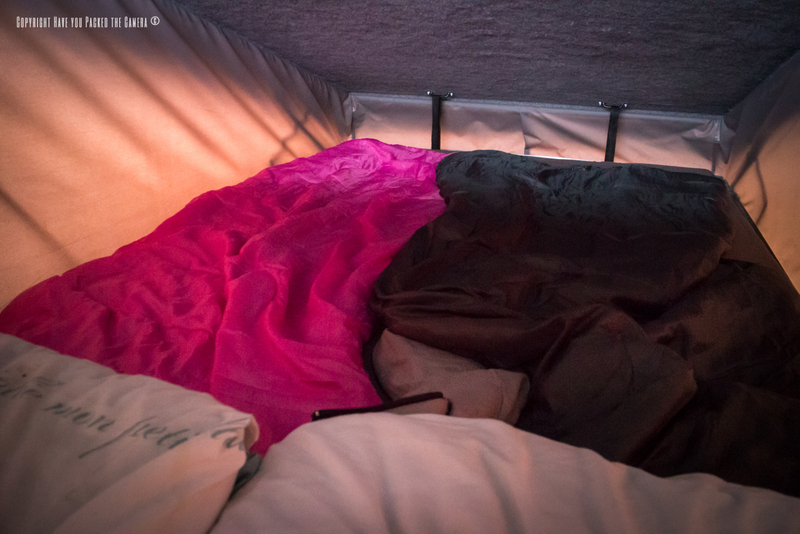 The fold down bed - After our disaster with the roof compartment, we decided to sleep on the fold down bed in the back of the van, this proved a much better option in our opinion. The back seats folded down to form a full double bed and I must say it was quite comfy and also spacious. The process of setting the bed up took a little more effort than the roof – There were holding clips to unfasten, and then you had to adjust the seatbelts and slowly pull the bed out, once it was down, you just had to tighten the clips again. 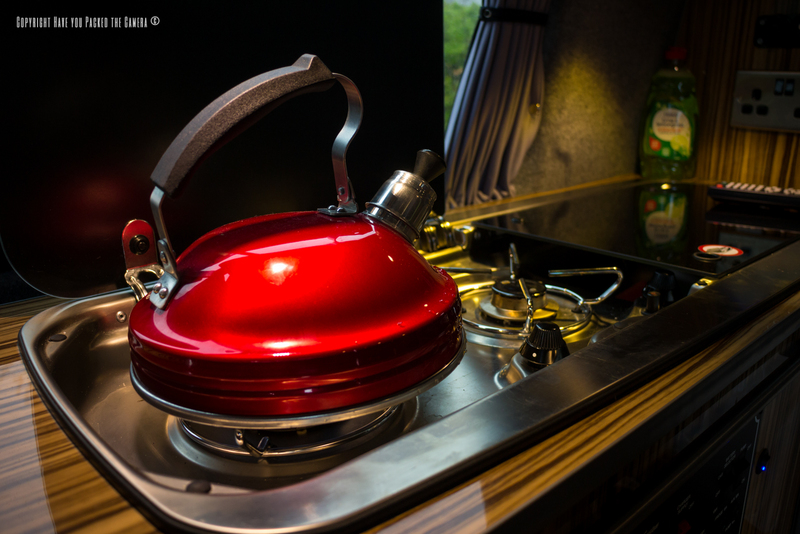 If you enjoy camping then the roof compartment will suit you fine. If you prefer solid walls and enclosure, then the fold down bed would be the better option. 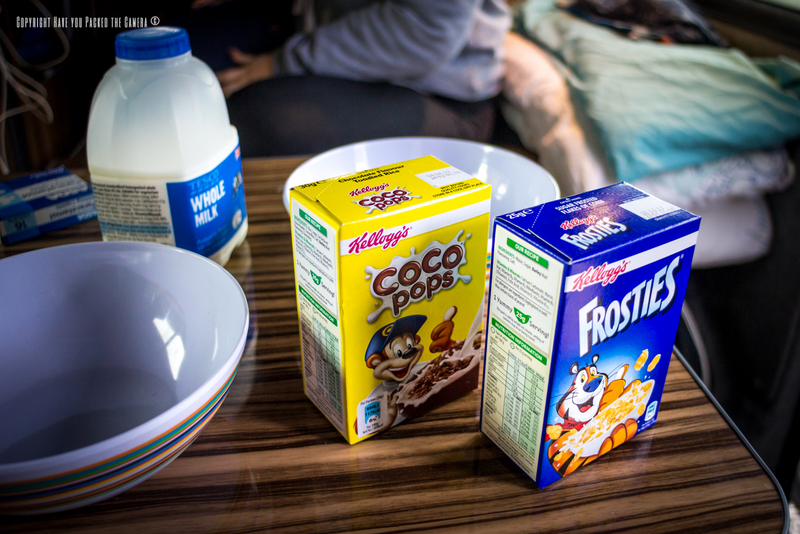 If you use the fold down bed, remember to take anything you need out of the cupboard and fridge beforehand as you can't access them once the bed is down. You will not need a mattress for the roof compartment or the fold down bed, but bring pillows. We decided to stop at proper campsites for our first road trip – As we had never done this kind of thing before I didn't fancy just pulling up and stopping the night in a lay-bye. 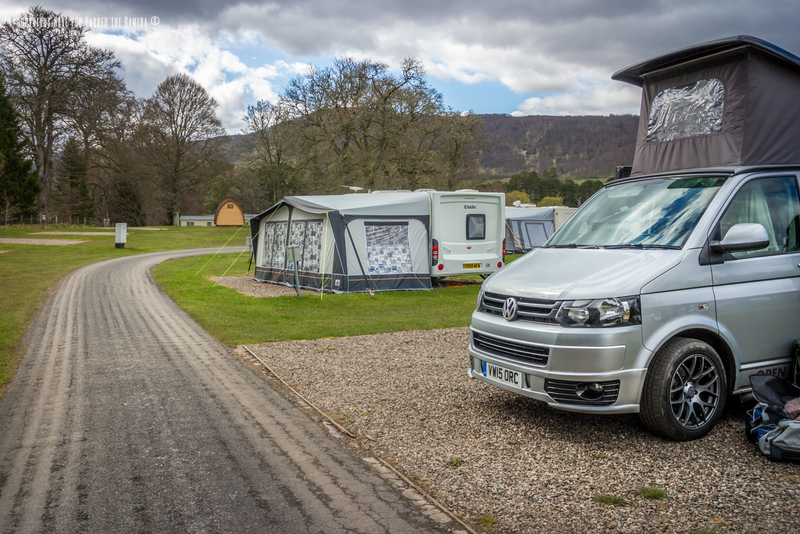 The campervan worked really well on all the campsites we stopped at and we had no problems at all. 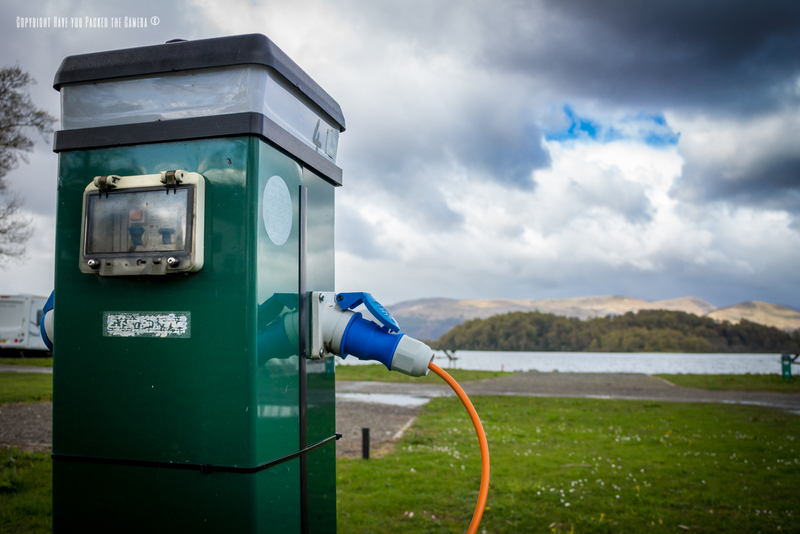 Electric Hook Up - The van had a leisure battery that we used to run all the amenities like the lights, fridge and charger ports – This could be charged using the electric hook up provided with our campsite pitch. It was a simple case of getting the cable out of storage in the back of the van, plugging it into the socket on the driver side, and plugging the other end into the hook up port on our pitch. We used this all the time and it meant we could run the van from the site's electricity supply as opposed to draining our own batteries. Water Tank - The van also had a large water tank for the sink and we had to fill it up using the water taps on the campsites we stopped at. The only annoyance we had was that the Van didn't come with a hose or any kind of pipe to fill the tank up with – I am not sure If this was an oversight by Bus Stop VW, or this is just something you are expected to source yourself. We simply brought a small hose suitable to use with campervans from a hardware store in one of the local villages and used that. It was simply a case of unfastening the water stop on the side of the van, putting one end of the hose in, and then connecting the other end to the tap. We only had to refill the tank a couple of times and it didn't take much effort. 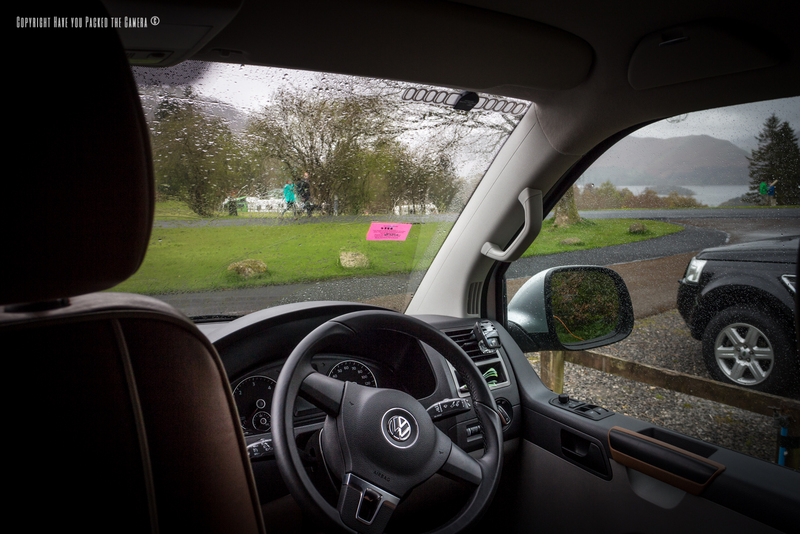 For our first Campervan experience, Clyde and Bus Stop VW were exceptional and It gave us a really positive outlook on that type of trip. We made some mistakes and had to get used to several things too, but it was all a learning curve and set us in better stead for this kind of adventure in the future.